It is Lord Sananda at your service. Wesak is in a very intense mode right now. There were many groups around the world that did perform ceremonies this weekend but it is going to be continual through the 18th or the 19th. So wherever you are in the frequency in allowing the energies of your ascension process, your initiation process, being a Master upon this Earth is going to be increased by ten-fold. There is a special dispensation this year. We have not spoken too much about this before because we do not want to say a whole lot; we wanted everyone to feel and integrate with the energies. I have to say that Meleriessee’s ceremony on the beach was an amazing event and within this event the Masters in Shamballa greeted each of you with their deepest Souls and Hearts as we were all together as we have never been before. We have been telling you for several months that we are here to assist you in walking together onto the New Earth. We are here as your colleagues; we are walking with you side-by-side. It is now your time to fully empower yourself in a way that you never have before. Some of you are going to be feeling that you are getting hit pretty hard; some of you are going to be feeling releasements. Everyone is going to change. I think that Meleriessee can attest with that for herself. Whatever your pathway has been; whatever you have been working that is going to increase and it may even shift into a different frequency than it has previously. You are going to be accepting your Divinity more fully as this Wesak was the Creative Essence of Your Spark ~ Allowing the Divinity to Be Fully within You. And what does that mean? It means that the Divinity of the experiences that you are encountering are fully activated within the fifth dimensional level. Even if you have not acquired the 5th Dimensional Chakra Grid, each of you are going to be accelerating yourself into that space and continuum. This Wesak is pivotal and is the most important element that has occurred upon the planet ever. We have never had a Wesak ceremony as we are having during this Full Moon in 2011. Embrace yourself dear children; embrace yourself for the frequency that you are about to encounter. It is importantly for you to allow it to Be; if you do not allow it to be fully embraced within you, then you cannot Accept It, and it will not allow the energies within you to be created within the Divinity of the Spark of your Essence, of your contract upon this Earth at this time. Each of us of the Ray Chohan, of the Lady Masters, of the Light Beings, of the Inter-Galactics, of the Star Fleet, each of us as the Essence of the Divinity that we are, of the Divine Mother and Father God and the Creative Source of Oneness come to you in this event, in this moment, assist you to move to that next space of continuum. All those prayers that you have been sending out; all the intentions, all the manifestations that you desire are now going to be created. Be very careful, my children, what you ask for as it is coming. It is now in that supreme essence in the Creative Energies upon this Earth. This Earth may not be quite in that fifth dimensional energy frequency but each of you are assisting and bringing forth that level of continuum. It cannot be stopped and as it becomes more and more involved, you will start to see how it is becoming more integrated within you. Allow the fire to be within you, allow the essence of the Earth, allow the essence of the Air, allow the essence of Water to flow through you. Allow yourself to be the fluid; allow yourself to move through the air; allow yourself to create the passion within you; and allow yourself to ground it deeply into the Core of the Earth. We are here to assist you tonight with all of these elements. The intention that we have put out for each of you in the preparation of these energies are going to assist you tremendously. This is a powerful week ~ the most powerful besides 11-11-11. So prepare yourself in this moment. Just embrace the energies and allow them to run through you. Whatever your space is in this moment; whatever you are going through; whatever you are healing; whatever you are incorporating, allow it to be so. It cannot be any other way because the funnel of the Light has already started. It cannot be stopped. So prepare yourself for these elements. You are preparing so you can walk out as the Earth Hierarchy meets the Spiritual Hierarchy meets the Inner Earth Hierarchy as we come together with the Star Fleet Hierarchy, we are all One. This is not a Oneness in Spirit, this is a Oneness in physical consciousness. Embrace yourself to embrace that ~ take a deep breath. Allow the funnel of Light that is coming through you right now into your Heart Center and feel the elements of your Male and your Female. Allow yourself to be fully balance within that and if it is not balanced, we ask for the Platinum Ray to be fully within you. As you bring forth this funnel of light, as it is the Hurricane within You, it is the Eye of the Storm. What you have not allowed yourself to be cleared, it will be removed. So prepare yourself. Hold on tightly. Allow yourself to embrace these moments of Creation as they are beautiful. They are massive ~ they are within the fire and the passion, the water of the fluidness and the air of the movement, and the grounding of the Earth. Allow it to go down into your lower chakras; allow it to clear all those frequencies in the lower essences. Let the fear; let the anger; let the rage; let the insecurities now to be molded into the fire, putting it into the water, see it running through the air and ground with the new energies. We are coming forth to you with a new wave of transmutation which is the Eye of the Hurricane. As you bring forth the Eye of the Hurricane, feel it within your Heart, feel it within your Thymus, and intuit with your Third Eye ~ Allow the intuitive to be fully incorporated within you. As it moves into your Solar Plexus, your Sacral and your Root, allow this energy to embrace and expand those chakras. As we allow the higher chakras to be fully incorporated within you, we ask for the Seat of the Soul of the Seafoam Green of Cleansing to come into your Thymus. Feel that blending within the Eye of the Hurricane. The Seafoam Green will assist you and feel the balance of the totality that you are. It is preparing you for the next stages of your journey ~ the journey upon this Earth ~ the journey that will take you into the New World. You are already reaching into those aspects and as you are doing this, you are IN this consciousness of the New World. We just need to assist you in the physical creation. As we assist you with this, we embody love, patience, strength, courage, and most of all we embody self-empowerment. Breathe deeply as the Seafoam Green flows through you. It is going to permeate into your cellular structure, into your bloodstream, into your glandular system, into your circuitry system, into the interworkings of all your organs, allowing it to be in the spinal column as it is flowing. Allow it to go all the way down to your feet into your toes into your skeleton system; allow it to be in your joints, your brainwaves, and to settle the mental level. Now allow your Third Eye to be totally open more than it ever has before as we intuit the higher chakras to now be encased within you. 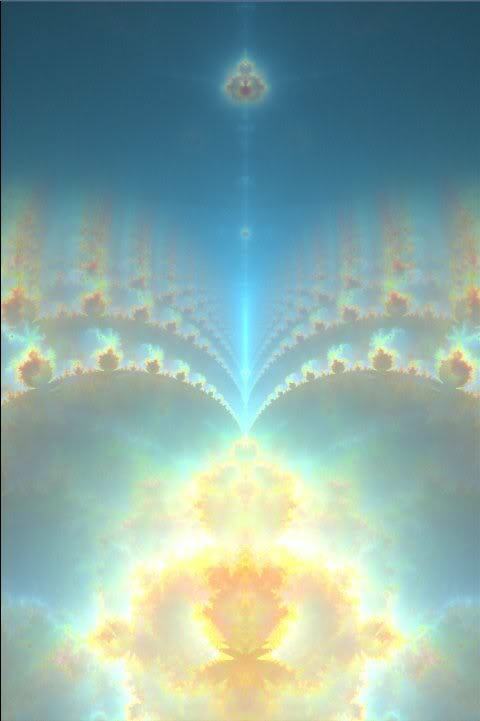 We now concentrate on the higher rays with just the number and not the specific colors bringing forth the energies. Nine within the base, 10 in your sacral, 11 in your Solar Plexus, 12 in your Heart, 13 in your Throat, 14 in your Third Eye, 15 in your Crown, 16 in your Crown, 17 into your Base, 18 into your Sacral, 19 into your Solar Plexus, the Heart, and Thymus as they are all one unified chakra on the 5th dimensional grid, 20 into your Throat, 21 into your Third Eye, and 22 into your Crown. Intuit the Platinum Ray of the 22nd Ray and feel that now. You are going to feel this more than you ever have previously. We are now in preparation for the attunement of the Divine Mother and Father God. It is my pleasure and my blessing to be here with you on this sacred event of Wesak. Thank you for allowing each of us to be here with you on your Mastership status. I Am Lord Sananda at your service. I AM the Cosmic Great Central Sun of the Divine Mother and Father God representing the Creative Source of Creation, representing the 144,000 Masters, representing Shamballa, representing the efforts of each of you individually, and collectively. Now embrace your Essence. Feel your Thymus, feel your Heart, feel your Solar Plexus, feel those three energy systems pulsating within you with the Platinum Ray if the Cosmic energies we bring forth. Allow the Eye of the Hurricane to be now be dissipated and feel it moving as we bring in the Platinum Ray we are going to help elevate your frequency in your Physical body. Let’s center upon the Platinum, let’s center upon the Golden of the Christ Consciousness as the Gold brings in the love, and the essence of beauty that you are integrating. It is going to transmute anything that does not serve you in this purpose. Let it flow through you. Allow yourself to embrace this Creative energy that is yours as we bring forth these frequencies into the Eye of the Hurricane within you. Your chakra column is now widening as yourCentralCanalis in an expansive state. Allow these vibrations to run through you. All the way down to your Earth Star and all the way up to your Soul Star so that your Light body now expands beyond your comprehension. Allow it to be free; allow it to bring forth All that You Are ~ All that You Are ~ All that You Are. This Wesak is very imperative because there are elements occurring on multi-levels that you are not aware of and it does not mean that you need to be aware of them. Those of you that work with the other planes of existence are clearing and processing will understand what we are saying. The elements of the frequencies are changing upon the Earth with this Wesak. 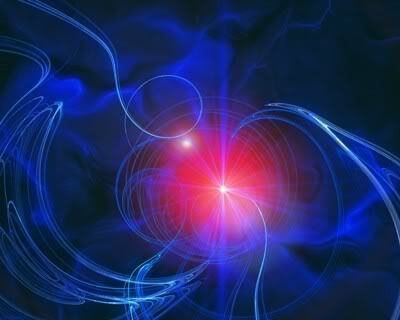 It is the most powerful frequency that we have experienced ever upon Planet Earth, upon Gaia and she smiles at me now. She smiles at me Now because the frequency is now changing. And what is going to happen within those frequencies of those that are not putting themselves into this higher presence? Without putting any negative emphasis onto this element, you are going to be faced ~ whatever it is with your challenges ~ whatever it is with your journey ~ whatever it is with your pathway that you have done up to this point, your acceleration process is going up four steps up the ladder. For some of you who may not understand the initiation process, there are seven sub-levels within each initiation. You are giving the opportunity to arise within four of those levels. It may take you out of one initiation into the other. If you do not know what level initiation you are, it does not matter. Just know that the old thoughts will be removed and within those processes, you are coming out of yourselves in a different way than you ever have previously. The power that you have had in your Star Essence is now going to be activated upon the Earth. If you are a shaman, your healing abilities and intentions of going to others is going to increase as you move into other levels of frequency. If you are one that works with the dark forces in other planes of existence, your powers is going to be stronger so that those energies will be dissipated. AND THEY ARE BEING DISSIPATED. There are being removed during this Wesak…you have been preparing yourself for this…Allow this frequency now to come forward. If you have any fear in what you are about to do ~ LET IT GO. Allow your fear to expand into Power, into Strength and Courage, with Love ~ God’s Love of the Divine Mother and the Divine Father God that We Are. Expand that within you ~ Expand this frequency. Allow that NOW to Settle within all elements within you. And we are not just talking about your consciousness that has been said before ~ we are talking about your Body ~ allow those cellular memories to be removed and allow the frequency of the LIGHT THAT YOU ARE, the sparkles to be fully accepted within you. Whatever it is that you need physically ~ the healing ~ the elements to assist you to move through these processes easier ~ to allow love to be fully within your life ~ there is more LOVE coming onto this planet than it ever has been before. I know each of you have been feeling this but NOW the Expansion is beyond the comprehension because of this Wesak ~ this Full Moon of 2011. It is a Powerhouse and each of you is incorporating this power within you. If the tears are going to come, let them flow through you. Allow yourself to feel the Essence and the Embracement that You Are because you are about to receive and accept all elements you have been asking for eons of time. It Is Now Time ~ It Is Now Time To Frequent This Energy And To Allow This To Be Your Guide And Nothing Else Of Your Power, Your Strength. As we tune into that Heart, that Thymus, and that Solar Plexus, feel the vibration. Feel it pulsing and the beauty of it flowing through your bloodstream. Flowing through the systems within your body as your body becomes that 5th dimensional frequency as you allow it to expand. Right now for this time period of this Wesak Moon ~ the actual Wesak Moon is Tuesday ~but the events in Shamballa are continuing. Wherever people need to do ceremony, many will come. So the frequency of Meleriessee’s ceremony to Shamballa assisted many that were asking for their names to be called. Those of you energetically asked to be there ~ you were there. You are continually in this space. The power and the forces of the Light are so very strong at this time but you will see the dark in your face. And it will try to stop you. It is imperative that it does not. It is imperative not to listen the news ~ not to incorporate what is being said or argued ~ be in your space of acceptance ~ be in your space of silence. Breathe Deeply ~ Remember these moments of the Hurricane within you because now the Eye of the Storm is settling ~ is fully allowing that frequency to be within you so that each of you accept your Buddhic state, a peacefulness, tranquility and love. Not just your consciousness but fully embodied within your vehicle and then it incorporates into the Earth. Let that settle within you. Allow yourself to feel this frequency that is yours. This expansion is not going to be easy ~ this Wesak is powerful. What you are going to be experiencing about this Wesak in the next few months ~ You will see what the Expansion is about. 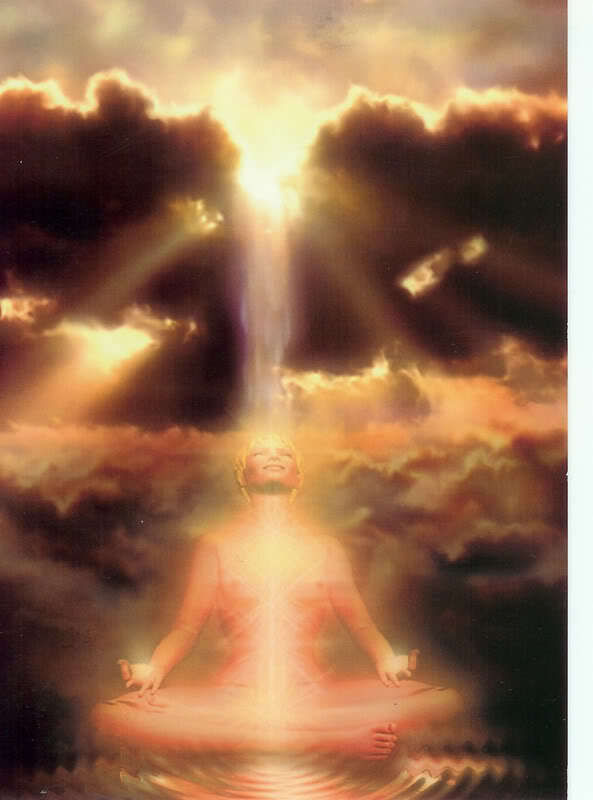 Breathe deeply in your Thymus, in your Heart, and in your Solar Plexus and allow those vibrations to permeate through your body as those vibrations of the Platinum Ray mixed with the Golden of the Christ Consciousness will move into the rest of your body. We are the Divine Mother and the Divine Father God of the Cosmic Great Central Sun here to assist you with this frequency as we stand before you as your Mother and your Father, and all the Masters stand around you as you become your own Master in your own development ~ as we are all brothers and sisters together. As we look to the Creative Source of Oneness that created each of us in this aspect ~ this is the beauty of whom we are. This is Lord Sananda, once again. Thank you for being here. Thank you for accepting this challenge. You are creating the New Earth as the debris will be removed. As the essences will be recharged, allow yourself to fully accept the embracement of the deepest love and the deepest source of connectedness in all of Creation in this year of 2011. We are honored to walk with each of you. This week there were several different aspects to the call since it was the Full Moon which represented the Festival of the Christ Ceremony. Included is a meditation for the Christ Energies which represents Resurrection, the channeling of the Cosmic Energies, which included a message from Lord Maitreya. It was a very powerful call. Take some deep breaths and feel the essence of the Christ Consciousness fully embodying within us. Allow that frequency to fully come within. Breathing fully into our Crown and allowing this beam of light of Golden hues, of Pinks, of Silver, of Pearlescent fully come within our Being. It flows through our chakra system in just a fluidness, not like a strong being of Light ~ a circular motion ~ as it moves through the Crown into the Third Eye, into the Throat and the Thymus, then the Heart, and feel the base of it centering into the Heart. Now the rest of it moves downward into our Solar Plexus and into the Sacral and the Root. It is now blending down our limbs into the Earth Star so the Earth Star and the Soul Star are the beginning and ending points of this frequency. 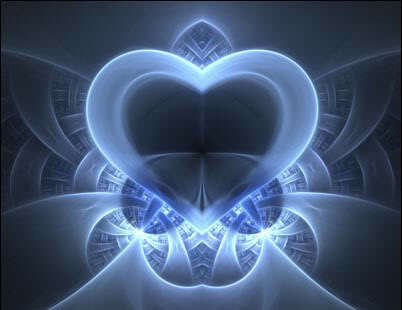 The core of the frequency is deep within our Heart ~ allow that to come within us at this time. Visualize the pure White Light of the Christ merge with the beautiful Pink Light of Love. Feel this luminous gentle Pink Light being to flow through your entire four-body system. Allow the frequency to move out of the Earth Star into your Etheric Level and move vertically around you on both sides until it meets the Soul Star and feel the Pink and the White blending together with the Pearlescent and the Golden ~Another Deep Breath. Now the Earth Star expands further into the Emotional level; the emotional level is now filled with the Pink, the White, the Golden, and the Platinum as it blends upwards around and reaches the Soul Star. Feel the beauty and the integration of these essences coming fully within you. Then, again, the Earth Star expands with another spinning energy moving outwards to the left and the right going into the Mental level which helps the mental frequency to be fully embodied with the Pink, the Gold, the Platinum, and the White and it meets at the Soul Star. Now all these four bodies blend together to create the One Body. Know that you are receiving your Christed Self fully within yourHeartCenterfeeling your Soul’s Essence ~The Beauty, the Creation, and the Deepness Within ~ Know this is your own True Nature. This is the remembrance of your Divinity. Visualize your Christed Self bowing to Maitreya, beloved Master Jesus as Lord Sananda and Master Kuthumi. Know in this moment they are bowing to your Christed Self as you are bowing to theirs. Realize that each of us and all inhabitants of this planet bring forth their Christed Self and wake up to the realization of its Divinity. Each of you is Oneness with the One. Feel that deeply within you now. We now bow to the Christed Self of Gaia and the planet. Knowing as you are doing this you are bowing to the beauty of nature of all things. Realize that in truth that you are simply bowing to the Divine Nature of all that exists. Feel the energies of the Divine Love within you pouring outward into the entire planet. See this beautiful, softly luminous Pink, White, Golden, Platinum light touching and enveloping everything in the sublest form of love. Know that you and all you are, are held within the aura of this love. Breathe deeply in this moment. Feel the essence of the Heart and the expansion that is occurring for you in this moment. Now follow your breath, go deeper into your Heart. I want you to now envision your Heart expanding so deep in the deepest core of your Being that you feel the acceptance that you are. Feel the essence, the beauty and the purity within you Heart but also allow anything that does not fit into that realization to be fully removed out of you now. Feel those essences that do not blend within your highest divinity to be fully removed whether it is Physical, Emotional, Mental, thought forms, or whatever it is, allow yourself to feel the full Divinity of the Christ Consciousness within you. Feel the change and the shift within your Being as you do this. As the essence of your purest form of Light is fully embodied within the Physical and blending with your four-body system that is now one body. Your Spiritual Body is fully activated with your Soul Star and your Earth Star as they spin in a clockwise manner and its purest form of Light is spinning outside of you. As it is spinning outside of you, it is spinning inside of you into the essence of your Heart ~Into the essence of your Thymus ~ into the essence of your Solar Plexus. Allow the Resurrection to now take place. Feel yourself go to a new level of conditioning of thought process, of feelings allowing the purest sense of yourself to be fully embodied. See Lord Maitreya, Lord Sananda, and Master Kuthumi in front of you. Feel the acknowledgement they are giving to you in this moment. Feel their love, feel their strength, feel their purity, feel their acceptance. They have a gift for you. The gift may be something tangible or intangible. It may be a feeling ~a thought ~ it may be something that you need to cherish inside of you. It is an element that you need for the Resurrection of this Full Moon of the Festival of the Christ. It is something that you have not acknowledged fully within your Physical Being. Allow yourself to embrace this gift. It is represented by the Divine Mother and the Divine Father God. Allow yourself to hold it deep in your Heart for it to be activated when the time is ripe and ready for you to act upon it which will be very, very soon within this 30-day period. Just allow yourself to embrace this gift, this blessing, this acknowledgement as I breathe deeply to bring forth a message from Lord Maitreya. Namaste. Greetings, my Dearest Ones. It is Lord Maitreya at your service in the embellishment of the Love and the expression of the Purity and the Essence that you are embodying in this very moment. Congratulations. It is a pivotal time upon your planet; it is a pivotal time within your Being. Each of you is being acknowledged in a new way and within that acknowledgement is a remembrance of your Divinity. The planet is in upheaval; your personal lives are in upheaval but there is one Spark of Light that is fully activated within you. In this evening we give to you the Essence and the Purity to fully open up this acknowledgement that has just been shared with you. It is a spark of Light; it is a remembrance; it is a moment in time. It is now your time to see the aspect that has been lost for you. It may be something that you fully have forgotten about; it is may be something that you need in this moment; it may be a larger circumstance of your pathway. It is different for each of you and within this pathway there is an element of change occurring for you beyond the capacity of your mind’s eye. We ask you now to breathe deeply ~ breathe deeply within that Heart ~ breathe deeply within your Solar Plexus and breathe deeply within your Thymus as all these activations are occurring for you and assisting you in the Divinity of your Physical Being. Your life upon this planet is like none other. There are elements and changes and activations embracing within your consciousness. There are fluctuations of emotions and mental thoughts that can get in the way. It is very, very, very important to have the highest of your Being to be fully activated in who you are. Not the one that you see in the mirror in the morning ~ the one that you feel when you first wake up. That Essence of your Divinity ~ the most important element in this moment is to realize that you are being resurrected because you have allowed yourself to be in that space. There is a continuance and a completeness that is occurring for each of you. It is a very important moment, this Full Moon, 2011, upon this planet. Each of you have a great gift to this world. Each of you has a sharing that is needed. Each of you is going to be able to understand this process. You won’t understand it in your mind as it is in the physical. You must understand in your Higher Mind, in your Higher Body and this is why we have Cosmic Oneness. These are the activations that are necessary for you to attune yourself to those higher frequencies in the Physical body. Embrace these moments of changes even when they feel uncomfortable. Get deep get into your Higher Essence, in to your Higher Self, in to your Higher Mind, into your Higher Heart as they are the ones that are guiding you, not the Physical Mind, not the Physical Heart, or those Emotions and definitely not the Physical body. Because the Physical Body is reacting to the emotions and the thoughts, so it is imperative that right now, this evening, we work with each of you to assist you in activating these energies more fully within your Physical, of your Divinity, of the Divine Essence and the Creative Spark from the beginning of time. We give to you these moments of acceleration. We give to you these moments of acceptance and knowing that in these moments of acceptance, you will truly understand the process when it occurs within you. Do not question it before it happens; do not question it after it happens. Allow yourself to be in that moment because that is what is going to assist you ~ of the moment of your frequency of your Rebirth. And it is not a rebirth, it is a Remembrance. It is a Remembrance of the Spark of Light that you are, and we embody this spark of Light within you at this very time. I, Lord Maitreya, with Lord Sananda and Master Kuthumi, right here together, extend our teachings ~ extend our Light ~ extend our frequency to You. We ask of you not to look at us as the Teachers but to look at us as the Colleagues. The wheels are turning, and this is a pivotal time ~ this Full Moon ~ this activation. In this period of this Full Moon, I would like each of you to look at the Full Moon and feel the beautiful essence of your Beingness in the fullness that she is. And allow that fullness, to represent the fullness that is occurring within you. Each of you are being embodied with the sparkles of Light, the frequency, that are from your beginning stages before we all split into separate personalities ~ into Angelic forms ~ into souls ~ that traveled the Heavens together. This is what you are embodying in this moment on this Festival of the Christ ;as each of you are the Christ within more fully than you ever have before within a physical vehicle. I ask of you not to figure out my words but to embrace the frequency in this moment. We are You, as You are Us. Let us embrace the Oneness within each of Us first so that you can embrace Us as your Colleagues and not your Teachers. In the Light of the Christ that we are, let us unite together. I am honored to be with you in this moment and to share with you the energetics of the Office of the Christ that each of you embody that I, represent, in this form. Take this frequency and embrace it within yourself and share it through your energetics during this time period. You are being prepared for great pathways, for great experiences, and I am honored to speak through Meleriessee to share with each of you so that I can embody to you, my Essence of the Light that I AM ~ that You Are ~ and that we are all together. As now I represent not only Lord Maitreya, but Lord Sananda and Master Kuthumi as we embody the Oneness with Each of You. May the Light of the Christ be within you and activate it fully within your Being in this moment. It is our honor to celebrate this moment with each of you. In the Holy God of Hosts That We Are, We Are One. Blessings, Blessings, Blessings. This is Lord Sananda. I will be brief as this is a very powerful, a very enveloping night of Love, of connection, and of Divinity of each of Us. Let us take a moment and feeling the blessing that has been brought into each of You and each of Us in this moment. As the Divine Mother and the Divine Father of God are embodying this frequency deeply ~ more deeply than it ever has previously. We bring to you the Essence of completeness. It is time, it is time for each of you to open up your Hearts and allow the Minds and Emotions to be in balance. And allow the Divinity of the Higher Essence of your Souls’ frequency for the One to be fully embodied within you. I embrace that within you right now. As we previously brought in the Golden flame, the Platinum, the Pink and the White let us embody the other colors of the Blues, Greens, Lavenders, Violets, Pinks, Reds, Oranges, and all colors and no colors. Allow those frequencies to be embodied within your Heart now and allow that to blend within you, up through you and down below you ~ into your Earth Star and your Soul Star, into the four-body system that has been activated ~ into the Spiritual Body that is now very active and has been through a birth experience. As your soul’s Essence is now fully within the frequency between your Thymus, your Heart and your Solar Plexus. As you are now within your fifth dimensional body, the Light Body is now being activated. Allow those frequencies to be fully within you as we embrace the moments of the Cosmic Great Central Sun of the Divine Mother and the Divine Father God to fully embrace and bless each of us this evening. Breathe deeply and Thank You for being here and for Being within in all aspects of Creation. I AM the Cosmic Great Central Sun here with a blessing of the evening ~ the blessing for this Full Moon of the Festival of the Christ ~ the blessing of your Light, the blessing of Love, the blessing of your frequency fully within the body. Breathe…breathe…breathe. We bring to you in this moment a blessing of all blessings ~ it is an honor to be able to come through Dearest Meleriessee and to embrace onto each of you the frequency of our love, Dearest Mother and Father of your Soul Essence and to be able to communicate to you in the physical realm. It is a beautiful moment in time for each of us to fully embody this frequency more fully than we ever thought possible. The energetics and the changes that are happening to each of you are in direct retrospect of what your soul has been preparing for ~ so please know that as you are going through these challenges and these elements of frequency within and you are not quite sure what is happening to you in any given moment. That is always your chosen way to accept so let us allow the Mind, allow the Heart to fully embrace the moments of Creation. Allow us now to sit in this essence that is being embodied through the frequency of All That is as we embody to you from the Cosmic and the Multi-Universal, the Universal, the Galactic, the Solar and the Planetary as we bring it down into the core of your Being as you are now embracing your full Light Body as you never have before. We ask for a blessing and within this blessing, we ask that every individual fully receive this energy in the active state of the Creation, in the active Mind, in the active Heart and allow the Higher Heart and the Higher Mind to be fully embraced as it never has been before. Allow this ceremony of the Festival of the Christ to be the embodiment of the Christ Consciousness fully within every person that is involved with this energy coming forth in this moment and in future moments of listening or reading the material. It is our Divine purpose at this time to embody this to each of You. This is why we come through as we do. This is why we have pushed her to do this and she is ~ as you will be pushed also. It is your Divine right to embody the frequency of your Soul’s Essence in the highest level of continuation within your physical vehicle. If it was not, you would not be listening ~ you would not be open to receiving. You would be sitting somewhere and believing someone else instead of sitting here right now and believing yourself that what you are receiving is the Divine Creation of your spark. We share through her to share to you as our Hearts all blend together in this Essence. This is the Resurrection ~ this is the involvement we want ~ this is the awakened state. We want everyone to be awakened as you are being awakened in these moments. It is not just a special circumstance for special individuals to receive this frequency. It is the Divine Right of the Soul’s Essence to receive it and to understand it within their Heart ~ just as the great Masters have walked before you. Each of you is embodying this frequency fully within you to allow the spark, to allow this Light to be ignited as it never has before. Your light must grow ~ it must grow and grow and grow. The Flame must be bright because the challenges upon the Earth are going to become even greater than they are right now. That without the frequency of your Light expanding we cannot have the illumination upon the Planet. You are the Saviors ~ You are the Light Workers ~ You are embodying this frequency fully within you being to share ~ to create ~ to ignite others. Take this within yourself to understand deep within your Heart. Breathe in those frequencies of the Gold, the Platinum, and all the colors, and the no colors, and the Crystalline essences that you are. Because you are not just one color, you are many colors. We are all the frequencies. If you look into a flame of a candle and you close your eyes a bit, don’t you not see many colors in that flame? This is what we see within you. You shine deeply with all these colors. Allow us, right now, to help you ignite. That frequency, that Love, that Purity, that Joy ~ as you do, it will burn away all the layers that have tried to stop you for eons and eons of time. Allow the flame that you are to burn so brightly ~ not just the top of your Soul Star but deep down into the base of your Earth Star and allow that flame to be going through you from the top to the bottom from the bottom to the top. Feel it deeply within your Heart because this is where the true essence of the flame will stay ignited ~ the flame of your frequency ~ the flame of your Light. You are being testing ~ being tested greatly but not without training. You have been training for eons of time. You are the Warriors of the Light ~ you are the frequency to allow the embodiment to be fully within you. Allow these moments of your Resurrection be fully active ~ this is what is going to service your purpose. Take the moments in the next few days as this frequency is going to be stronger than it ever has before. I want you to breathe deeply, and I want you want to feel that warmth within you. I want you to feel the warmth within your Heart. Some say that when we come through that the energy shifts into a freezing cold element as Christine feels it when she receives these energies. This is because your body is not used to the Cosmic level ~ the Crystalline energies. You are becoming crystal bodies within you. And as you do, you will start to embrace the Divinity that you are and to feel that complete Oneness within. We must serve upon this so deeply that the deepest impressments that we want to bring forth is that you must allow yourself to expand and acknowledge the highest part of your Soul’s Essence before you can feel the Oneness around you. There will be moments of reflection that you will feel this Oneness and then there will be moments you don’t feel the One. Allow yourself to breathe deeply into that and allow the flame to be warm and burning ever so beautifully ~ you will see then that the frequency will change around you. Stop the thoughts ~ stop the emotions from telling you otherwise. Use that breath ~ use that breath of that flame as we bring that flame within you now. Allow that flame to be fully activated at all times and you breathe deeply into your heart as you feel the warmth of this flame ~ just burning so brightly. This is what is going to activate your Soul’s Essence. This is what is going to burn away any negative dross. This is what is going to embrace the Light Body within your physical activity in the frequency of all the organs, and all the interworkings of the body of all the systems. This is what is going to assist you completely. Be kind to the body ~ the body is very frustrated because it feels out of balance ~ as the entry of this high frequency of the Light so the body reacts with chills, within the bloodstream. So it is important for you to embrace with the warm flame. If you need to light a candle and just look at the flame of the candle ~ embellish yourself within the flame and feel it deeply within your Thymus, your Heart and your Solar Plexus. Believe me you will start to feel all of the essences. You will feel the frequencies of the Rays of your Will and Power you will feel your Love and Wisdom, Active Intelligence, Balance and Harmony, Scientific Knowledge, Spiritual Devotion,, and Transmutation/Ceremonial Magic. Allow those seven basic rays to be fully activated within you and then you will be able to fully intuit the rest of the higher frequencies. They will just blend together. You don’t even have to worry about what they mean. Because you will understand the meanings when it occurs. Breathe deeply as we bring in those frequencies within you now of activating all those thought processes all those elements, of all those rays and command those seven basic rays within you. Without learning how to command them, you cannot go further and receive the Cosmic level. You can feel it – feel it within your consciousness, but you fully need to embody it within the physical vehicle and this is what is going to be guide. This is what is going to assist you in the Divinity of your Soul’s Essence ~ this is what you are being prepared for so allow those frequencies to be embodied within you now. Breathe deeply as we bring in the Blue of Will and Power; breathe deeply as we bring in the Golden Yellow of Love and Wisdom; breathe deeply as we bring in the Pink of Active Intelligence; breathe deeply as we bring in Crystalline and Green for Harmony and Balance; breathe deeply as we bring in Green and Gold with White Light for Scientific Knowledge; breathe deeply as we bring in Cherry Red for Spiritual Devotion; and breathe deeply of the Deep Purple of Ceremonial Magic. As all…..these frequencies are blending together as one essence deeply within your Heart feel that occurring within you now. Commanding all levels of Creation within your Being. We of the Divine Mother and the Divine Father God now ask for an activation for each person that is listening, is reading to fully allow these frequencies to be embodied within them ~to allow the higher levels of the higher chakra system of the 4th dimensional grid and the 5th dimensional grid to be embodied ~ to accept the light body within your being. 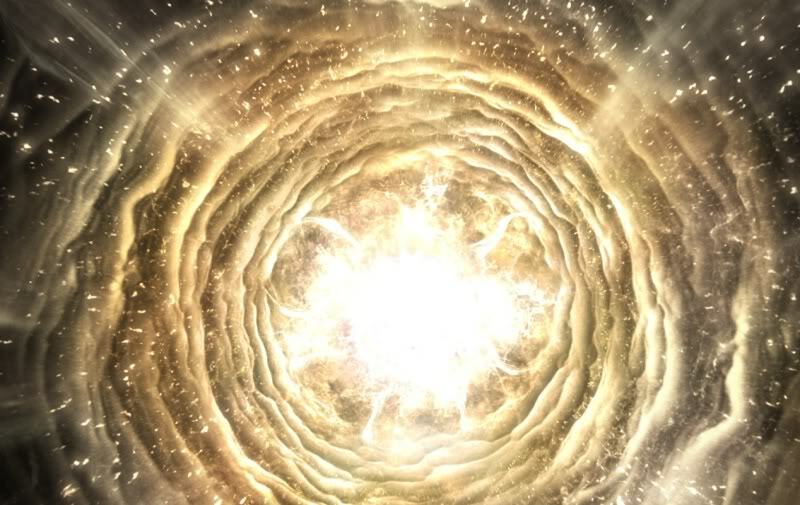 And allow the flame of the Golden White light to be fully bring forth the warmth and the conditioning that is necessary to assist in bringing in these higher frequencies. We ask for a blessing for each person in this moment. We ask that they receive the divinity of the Light fully within them and they see a change within their lifestyle. We ask that each one of you bring forth the Christ Consciousness as the Resurrection is now finished. You are a new being of Light ~ you are a new aspect of yourself. One that you may know or may not know but it is very familiar in any case. Breathe that in now ~ Breathe that Essence ~ Breathe that part of you that is a remembrance that has been tucked away somewhere and now the flame of the Essence of the Divine Mother and Divine Father God of nurturing and strength is deep within you as you bring forth the Oneness of your Creation within your physical body. Allow that to be your guide ~ allow this element of Light ~ of Love ~ of Purity ~ of Joy that we are to be embodied upon you as it was in the beginning when we were all One. Now let’s think of us as all One Being of Light. Feel yourself just moving through that frequency as we are one embryo of pure essence of colors and no colors all blending together. It is our divine pleasure of the Divine Mother and Father God of the Cosmic Great Central Sun to assist you this evening in this blessing and these activations for you to fully realize the capacity of the Light that is within you. It is now your time to receive and embrace and to walk upon the path as a member of the Spiritual Hierarchy upon this land as many are awaiting your arrival onto the pathway of Mastership. Allow your gifts to be embodied within you as we assist you in this process. It is our Divine hope and Divine pleasure to fully allow this frequency to be upon each of you ~ not just now in the resurrection phase but moving forward in the other phases that are to come. Many surprises of Light and Love~ of Purity of your Essence is now being embodied upon you. May the blessings continue in each moment that you walk upon this planet. Thank you for being here in this capacity. I Am Lord Sananda. Thank you; thank you for being here this weve3ning. Thank you, dearest Meleriessee for opening of your Heart to allow the expansion of this Light onto these lands to assist others to do the same. We are One. Thank you, blessings, Namaste and the Holy God Lord of Hosts that We Are. This is Lord Sananda speaking. It is wonderful to be here once again with each of you to bring forth these energies. It is an amazing time. It is a frequency of light; it is the beauty of the expression that we are and another powerful week is coming onto the planet~ Another frequency to assist in your divinity; to assist in remembrance~ to bring forth the essence that you are. Tomorrow is another powerful day ~ another 11:11 exchange ~ within this exchange, we would fully like you this evening to take a deep breath and allow yourself to think back of what the last week has been like for you. Each of you are being prodded and pushed in many different ways and as these elements are occurring for you there is an essence within you that is a fully accepting you in a different way than you ever have – in any other experience. The time is now – the time is now for each of you to understand what you are going through and within this understanding there shall be an acceptance within you to bring forth those avenues of change. You are being asked to be in a different thought process, in a different experience than you have and I believe that each of you are transpiring into that thought process in different way than you ever have previously. It is now time ~ it is now time for you to accept the new essence and that is coming to you. What happens when that is appearing in your circumstances, there are moments when you become very confused. Within those moments of confusion there is a purity of unacceptability that occurs. With this ability of not to accept the frequencies within there are many challenges that can occur. What is actually happening is that the old is arising to be removed and if you don’t step into the new threshold of what you are experiencing then you cannot fully allow your Divinity to be Within. This is how you are being moved into a new direction. When you are in this direction, you bring forth an acceptance within yourself that is quite different. There are moments of being in a reflection or a reflective state and within that state, the essence of stability occurs for you. As this happens, there is a shift and a change. You may not even realize what is occurring in your life circumstance and how you are not quite sure it is happening for you. But there is a difference. The whole ability to be able to frequent these energies is awareness within yourself. As you have this awareness within, you start to understand the processes are happening. As this is occurring, there can be a fluctuation within you. What I am basically trying to say to you is that each of you is aspiring to a new space of being. As you do so, the old elements that did not support those thought processes or feelings are going to come up. It is important for us to acknowledge what is happening. In this acknowledgement stage there are elements that occur in a deep-seated conditioning and within the conditioning are frequencies you have utilized lifetime after lifetime after lifetime. Many of you have the essence within you to fully aspire to greatness but sometimes those periods of greatness are over clouded with the fear. It may be of failure or success because you have gone through these elements before time and time and time again. Now it is your TIME to be Fully In The Space Of Continuum to allow the frequency to be changed. This is what each of you is going through in this doorway tomorrow. Tonight we are preparing you for this ~ we want to assist you into having the best experience of this new doorway so that you are not continually resurfacing the issues you have been dealing with previously. We want you to be able to strengthen yourselves; we totally want you to accept your Beingness in a different manner than you have before and within that comes a new feeling. With that new feeling is like you have been purged and renewed in the same moment. As this occurs for you, you start to see the conditioning process that you kept within you for a very long time. It is like peeling away layers of the old skin. It is like peeling away a potato and you need to cleanse the skin before you can cook it. You are peeling away your outside layers you can see the core essence that you are. These are deep processes. I know each of you have been working diligently within yourselves even if you are not aware of it. You have been for a very long time. What this process is about is getting to the inner core layers of the deepness within your soul that needs to be removed because it does not serve you on a higher frequency any longer. It served you on the 3rd and maybe even the 4th dimension but on the 5th it will not assist you in that process. So what we want to do right now is to breathe Golden Balls of Light. Within those golden balls of Light we will bring forth the Christ Consciousness fully within our being. Let us feel a series of Golden Balls of Light coming into our Heart Center. 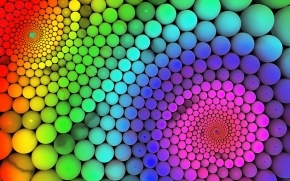 As they come within the Heart they are going to open up into other frequencies of colors. Within those frequencies of colors they are going to shift and change. As we breathe them into our Heart, we are going to feel the essence of Blue, Gold, Yellow, Green, Red, Orange, Violet, Indigo ~ all the basic ray colors. Now as you breathe deeply within that and it goes deeper into the core of your cellular structure, they start to shift into the higher frequencies. We move into the higher colors into Sea Foam Green into the cellular area, floating around deep within your skin, your bone structure, muscles, tendons, organs, and go deeper into the Blue-Green, breathing into the Pearlescent we feel the Pink Orange and then into Gold. We want all these colors to blend together from the top of your Crown to the bottom of your Root allowing them to merge into each other. We call upon the Violet Pink, then the Blue Violet, Light Golden White and let all those colors to filter through each other. Allow them to fully move through your entire being and into that structure that you are. Breathe deeply through that ~ breathe deeply into the essence that you are. As you multi-colored, you are multi-dimensional. So that the balls of light now in filtrate now as different colors and different pearlescent’s ~ different vibrancies ~ the luminosity of the colors are unbelievable. They move into a multi-white and then a pink-gold as they blend together ~ Magenta, Violet Gold, and then Blue Gold, then the Platinum. They are now going to mix together into your entire structure going down to your Earth Star and up to your Soul Star. All these Golden Balls of Light are just floating within each other within this beautiful essence that you are. Feel it deeply within your Heart. Allow that frequency to be within you and go in your Solar Plexus, into your Sacral and your Root. Allow all these frequencies to blend these essences. As you do that, you start to feel the releasement of the particles of yourself that you thought were the stability but it is actually instability. So peel out those layers of essence that have been part of your physical structure but it is no longer needed as you move into the higher frequency of all that is to be incorporated within you. Breathe deeply through that ~ breathe very, very deeply. Now you are totally ready to receive the activation necessary to go on a deeper level. It is my pleasure; I am Lord Sananda at your service. I AM the Cosmic Great Central Sun of the Divine Mother and Divine Father God at your service. Breathe deeply….breathe deeply……We come to you in this moment the essence of your Being that has been locked away and you have not been sure where it has been. You thought you had it but now there is another new aspect coming within you as the aspect of your Divinity fully accepting the movements that are necessary in your lifestyle. The movements that are necessary in your Physical body, your Emotional body, your Mental body as they all blend together into the beautiful frequencies of balls of Light that have been given to you. Allow the Balls of Light to move with each other ~ touching each other ~ as they open up a little bit so there are spurts of color that are going to flower through your whole Being. Feel that deep within your Heart; feel it in your Thymus, in your Throat, and allow it to come down into your Solar Plexus and your lower energies. Allow yourself to be absorbed with the higher frequencies as you never have before because now it is pure liquid. You are not just breathing in the exact rays into your Being. They are being put into you with little balls of light, little pellets of Light. Visualize yourself diving into a pool of pure crystalline light and within that pool are all these little bubbles. These bubbles are opening up as you swim and they are all the colors that have been brought to you ~ the Pink, the Orange, the Gold, the Violet Pink, and the Blue Violet, Light Gold, White, Light Violet White, Multi-White, Pink-Gold, Blue, Lavender, Purple, Violet, Green, Yellow, and Blues as they all blend together. Just feel yourself being absorbed and nurtured by these beautiful pellets of Light. We are not even going to think of them as pellets any more, but as bubbles. What happens when you touch a bubble? A bubble bursts and that essence is going to be deeply within you. Breathe deeply and feel it going down through your body and also feel it on your skin and allow it to go into your cellular structure, into the bone structure, into all those elements within your physical body. Allow it to move into your Etheric Body, and then into your Emotional and Mental bodies. Feel those beautiful bubbles just blending together. You are just one huge Being of bubbly light and RECEIVE ~ RECEIVE ~ RECEIVE. Now let’s go a little bit deeper and assist you in this process you are going through because there are layers being removed. As these layers are being removed, you could feel a difference in your consciousness. You could feel yourself moving into a new facet than you have before. You may feel energetics within you that you have not quite absorbed previously. What each of you is experiencing is your multi-dimensional body and within that multi-dimensional level, it is coming through your physical body in a remembrance. Everything that you have been experiencing on the Innerplane in your sleep state, meditative, and alternate realities is going to become your reality but is only going to happen in levels of creation to assist you. It is going to come to you in different aspects and within those aspects, it will be in stages. So I want you not to feel paranoid in this moment that you are jumping into a threshold that you cannot handle. Everything that is given, as you know, is because you are ready to accept although part of you may not be. I want you to feel nurtured by these colors. Let’s take a deep breath and feel the bubbles just circling around you as you are in this bubbly energies of light. It is nurturing; it is loving; it is compassionate, it is joyful. You allow that to be within you; you allow that to be your guide and the essence that you purely are ~ there is nothing else to stop you from the next stage of your growth because each stage will get you closer into the Divinity that you are incorporating within your body as you integrate this frequency you start to see an element that occurs around you because first, we need to incorporate within. Deeply breathe…deeply breathe. We ask now, as the Divine Mother and the Divine Father God, that every individual listening that is here with us or reading this material fully incorporate their Divinity of the next step ~ that they are ready to walk through. We ask that the old layers be fully removed ~ that they have been working with ~ it is an old skin that just needs to be peeled away and the bubbles of Light that we are incorporating are allowing those layers to be removed. As we allow those layers to be removed, there is a nurturing that occurs from all these frequencies. No longer should one feel the rawness when they are going through a change. This is going to assist in the process of the Creative Source within you to accept your Divinity to allow the frequency to fully within you in all aspects of your Being ~ in the joyfulness that you are and the Soul Essence as the pureness of the embodiment of your elements. Allow that to come through to you and just permeate through your whole Being. Breathe and feel the love, the compassion, the joy, the acceptance, and feel the nurturing, the strength from the Divine Father that I Am and the nurturing from the Divine Mother that I Am as we come together and balance the male and female aspects within you. Allow that balance to occur because this is what you need fully to go through the next step of your Divinity ~ the next step of your pathway to allow yourself to create the pathway in front of you as you allow it to be illuminated with the pureness of the Light that you are. Right now I want you to think about exactly what you need to remove; maybe there is an aspect that you are not sure about ~ so now we have a moment of silence in which you breathe deeply and allow these elements to frequent every part of your Being, every part of your Essence, and allow yourself to soak in the bubbles of the Light. Embrace yourself, embrace yourself in these elements as you are being supported as you never have before with this activation of Light that is coming through to you. It is a powerful activation because it is a Balance Activation ~ it is the Ying and Yang ~ the Male and Female ~ it is the God and the Goddess coming together within the union within your Being. Feel it in your Thymus ~ feel it in your Heart. Allow this to permeate through your entire essence. Feel yourself as you get out of this pool of water. You look at the water and there are the layers that have been removed. Now feel the Purity and the Compassion that is coming to you ~ feel the Strength and Courage. Feel the ability to walk through any challenge that is necessary. You will use your male energy to create the thought within you and your female energy will bring forth the thought as they work together as they never have before. Allow the balance to move fully incorporated within your Being. Allow yourself to know that you are the pure essence of God’s love within you. You are the God and you are the Goddess and allow that to be your guide. I want you to feel it within your Solar Plexus and allow yourself to embrace this integration. Take your hands in front of your body and bring your palms toward your body. Move the energy up and down, up and down, from the top to the bottom and allow those energies to run through you. Then move it to your Crown and push it down your back and allow yourself to be a circular, vertical frequency. As you allow these frequencies of the Strength/Courage and the Love/Compassion to be centered on both parts of your Being. Bring that within you because the Courage goes to the Female side and the Compassion goes to the Male side as they need each other. Feel that integration happening for you now. Feel the essence that is coming through to you; feel yourself being accepted in the Divinity in a different process than you have previously. As you do that, you open up your Heart and all your chakras ~ Your multitude of chakras which are incorporated within your Being. You feel now the acceptance ~ your feel within you the ability to transform yourself in a different manner than you ever have before. Breathe deeply and allow your intuition to be your guide. 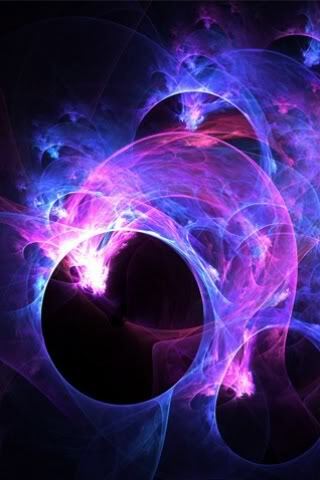 Allow the frequency of the dimensions ~ allow the Violet light of the Transmuting Flame to assist you in the process and as you do that, you smile to yourself. You feel this essence of a grin because you have arrived ~ YOU HAVE ARRIVED ~ to move into the next frequency as now you are READY. Look around you ~ you will see all that debris that is being dissipated and we ask for the powers to be to fully disintegrate anything that does not serve you now on a frequency level as it is being pulled away. The old skin is now removed and inside that process within you is the Child ~ is the Adult ~ is the frequency of your Soul ~ with the knowledge and the wisdom of love and compassion all wrapped up into one essence. This is the beauty of the integration that is occurring for you in these moments. Breathe…Breathe….Breathe….Breathe these aspects…breathe…breathe…and you can relax ~ it is now time for the relaxation as you are now ready. You are ready for the next phase. Walk through that doorway tomorrow. Allow yourself to know that you are in the frequency of your Light right now ~ you are in balance ~ you have your strength ~ you have your compassion ~ You are One with yourself in this moment. We, of the Cosmic Great Central Sun, want to say thank you and blessings for being upon this pathway because what you are experiencing now you cannot help but share with others through your energetics and through your love. It will show in your awakening state, your physical existence in how you project yourself into the world around you. Deeply know that you are in balance of the Oneness Within in this Moment. We, of the Divine Mother and Father God, ask for another activation to occur. We ask for the activation of each of you to fully embrace an element that you have been striving to receive and it has not been fully activated. Allow this as the doorway is open, the doorway is open for you to fully acknowledge yourself and for you to integrate this integrate and share with others. Whatever this acknowledgement is, each of you has something that you need to fully activate in your life in this present time that is going to make it easier and better for you to live upon this earth as it changes and fluctuates, you are the balance, you are the frequency, you are the Oneness within you. It is our honor to be here with you in this moment as your Mother and your Father of the Divine Consciousness to assist you in this process and know that we are with you in the frequency of All That Is. Breathe deeply and allow that as we share it with you in all aspects of your Being, and all experiences that you have, allow yourself to embody it within you as you share it within the energetics of your Essence to the world. May be blessing be bestowed upon you in each moment of the Light that You Are. As you are the conduits, as you are the way-showers, as you are teachers, onto this world. We are in honor that you are awakened in this stage to assist and help others. I AM the Cosmic Great Central Sun at your service. I AM……honored to be here with you in this mode of communication. This is Lord Sananda once again. Our message this evening is to assist you in removing these outer layers so the inner core of your Being can fully came out. It is like planting a seed and when the seed is in the ground, it grows and grows. When you get to the deepness of the seed of the root of the seed that is truly the essence that needs to be shown of the beauty that are. Honor yourself on this journey and enjoy the walk you will be taking this week as it will be quite different than the walks you have taken previously. Honor thyself and others will honor you. I Am Lord Sananda at your service in great blessings of the Light.